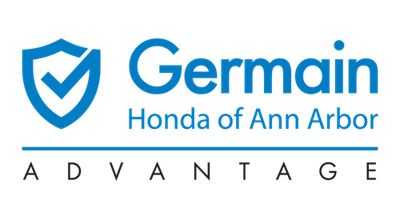 Nobody knows Honda cars and Honda SUVs like the long-tenured team of Honda sales consultants we have here at Germain Honda of Ann Arbor. In fact, our sales team has over 100 years of experience selling Honda automobiles, and we’re excited to demonstrate how every Honda model outshines its competition. When you represent the best cars for sale you don’t have to play games – so we don’t. We simply give you all the information you need to make an informed decision (including our Honda Tech Tutor app) – including our best price on a new Honda – in a transparent and easy to decipher manner. That includes a great selection of No Money Down Leases that are truly Zero Due at Signing. No games. No tricks in the fine print. Just the best cars at the best prices on any Honda in Southeast Michigan. With over 300 vehicles in stock at any given moment, you can be sure we’ll have exactly what you’re looking for here at Germain Honda of Ann Arbor. So browse our large inventory of new Honda vehicles. We have dozens of the most popular models like the Accord, Civic, Odyssey, and the Honda CR-V. But we also have the hard-to-find models like the Accord Hybrid, the Honda Fit, Honda Pilot, and the brand new Honda HR-V in inventory. Lastly, know that the Germain Motor Company is a 67-year family-owned company that is committed to its employees, its customers, and the communities in which we operate. We provide our employees with industry-leading training to empower each of our employees with the skills to do the best job they possibly can. 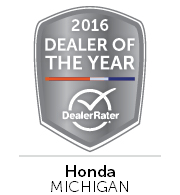 We strive to earn our customers’ trust and loyalty every day – evidenced by the fact that we have been ranked by DealerRater as the #1 Honda Dealer in the state of Michigan in 2014, 2015, and again in 2016. Selection, a no-hassle buying process, and the best trained, most knowledgeable staff. That’s what we mean when we say The Right Car, The Right Price, The Right Way.